This is for one Brand New 27" Tall Halloween Metal Pumpkin Boy Decoration Prop Indoor Outdoor Bouncy. 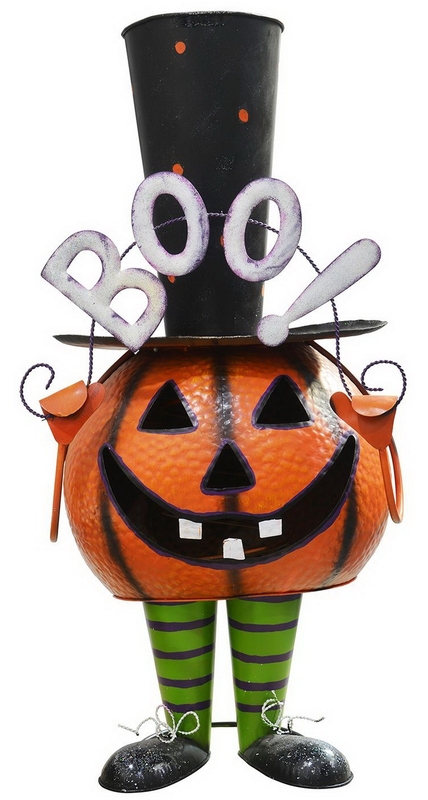 This whimsical metal pumpkin bounces when pressed and is weather resistant for outdoor use. A perfect decoration for the season!